Correction: the more I looked at this table, the more unconvinced I became that it was done by Taylor. 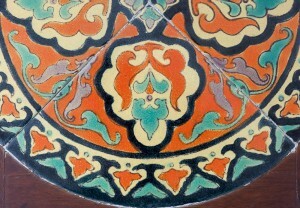 Now that I've seen more D. & M. tiles, I believe that these tiles are also by D. & M. (1928 - 1939, Los Angeles). 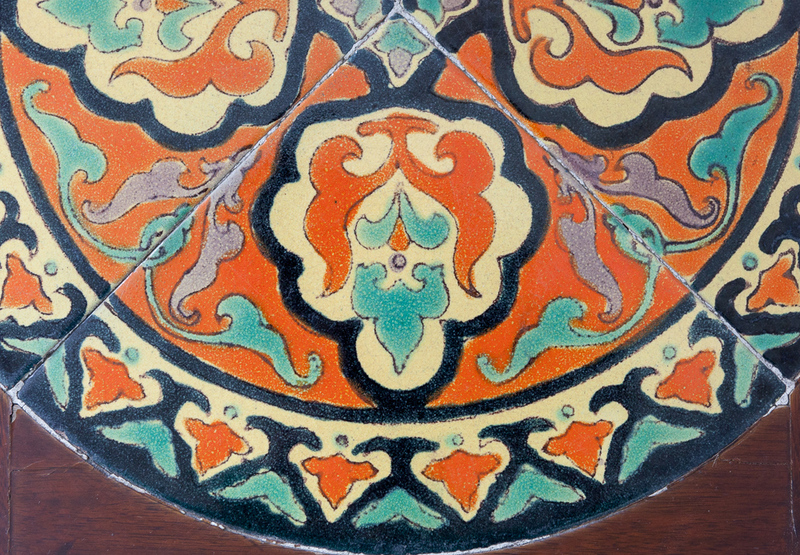 The semi-matte flat surface and the quality of the glazes are unique to that manufacturer, and there have been plenty of cases of shared designs. Eric Watt, a D. & M. aficionado, kindly confirmed my suspicion. 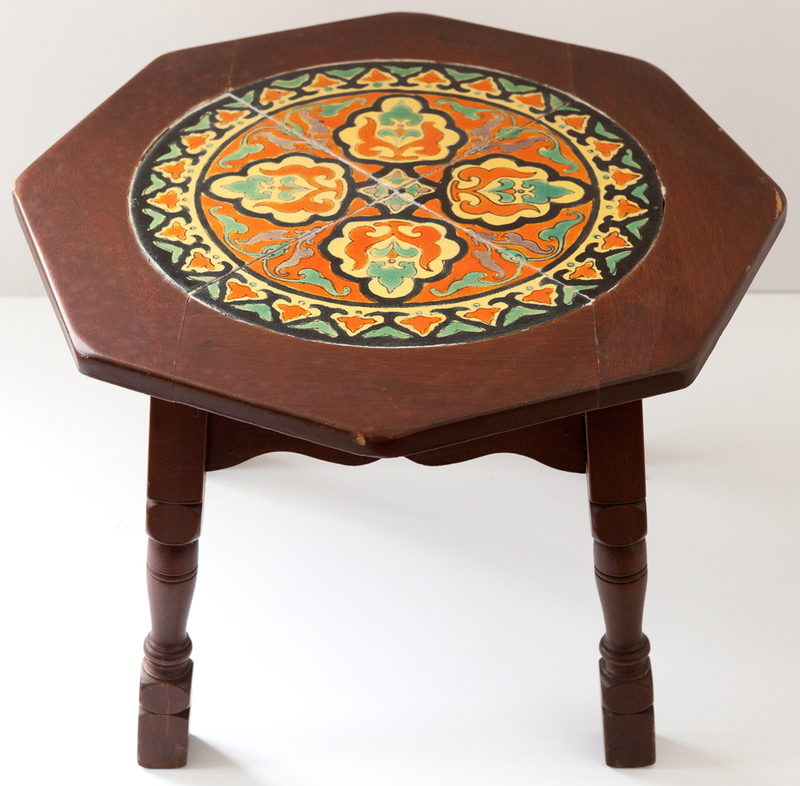 This also explains the size discrepancy between the design in Taylor catalog and actual tiles in my table. 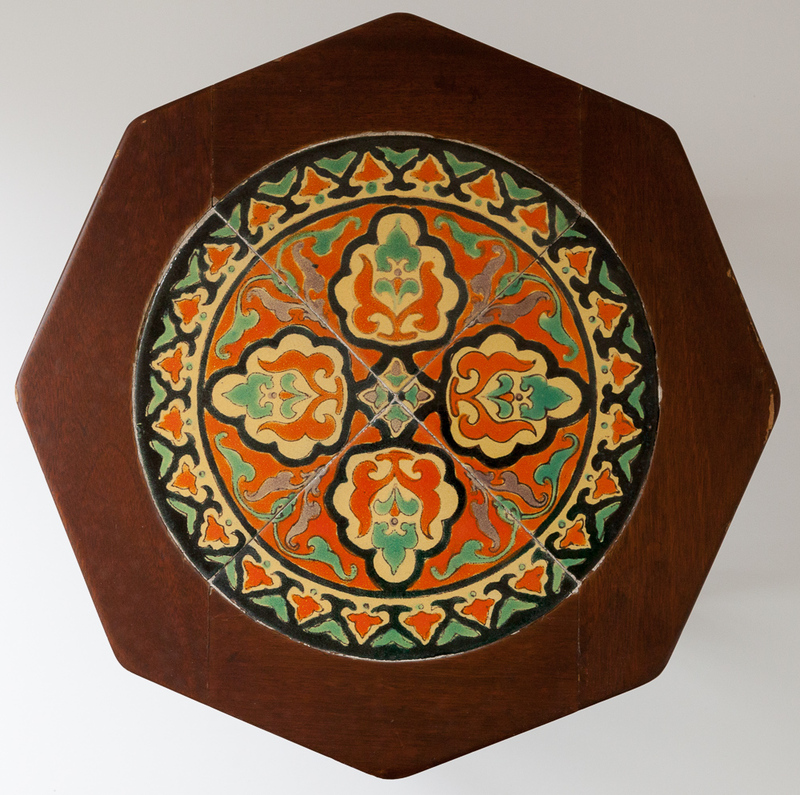 Original post: Roundel tile sets are hard to come by, so I was quite happy when this octagon table with a four-tile set by Taylor Tilery (1930 - 1941) joined my collection. 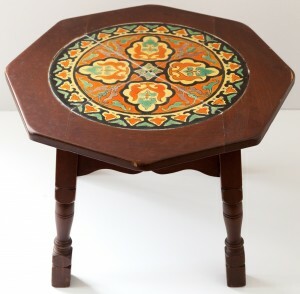 I am very fond of this bold design: the colors are bright and cheerful, and the glazed surface is somewhat matte, unlike the surface of most Taylor tiles that are covered with shiny, glossy glazes. This design is shown in Taylor catalog as #84, however it claims that the tiles are 7 1/2", while mine are 8 1/2". This size discrepancy as well as the matte surface of the tiles give me pause and make me wonder if they might have been made by D. & M., not Taylor. However, I didn't see them attributed to D. & M. in any of the books, and I don't have a D. & M. catalog. Moreover, my other two Taylor roundel sets also appear in the catalog as 7 1/2" tiles, but are in reality 8 1/4". These tiles are in perfect condition. 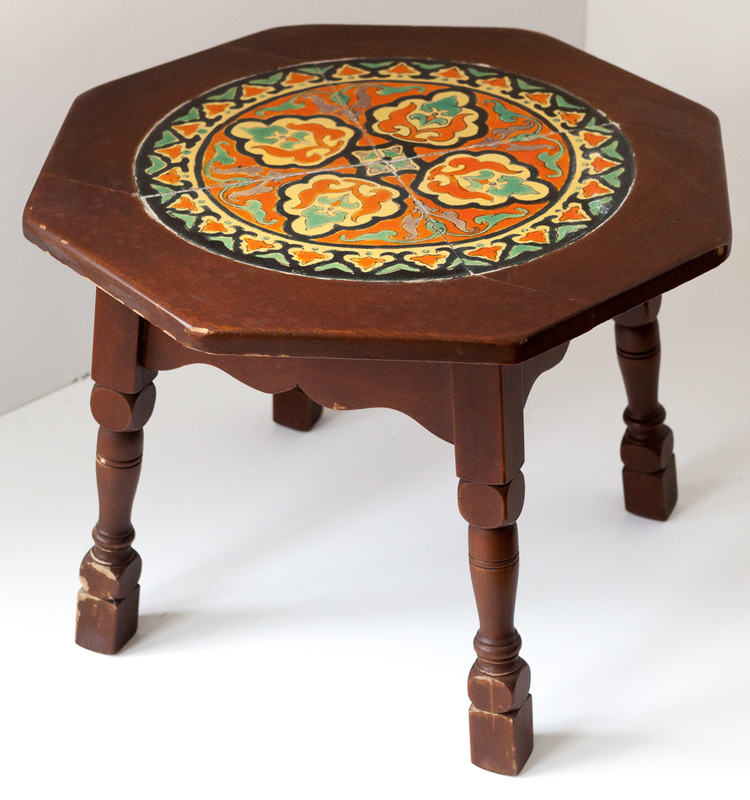 They are set into a wooden octagon table that has its original finish.